Rilastil Aqua BB Cream is a multitasking cosmetic treatment with a light and silky texture. 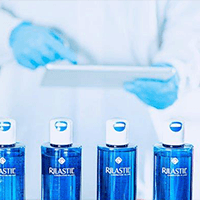 Rilastil Aqua is the complete product line for skin moisturization, to keep your skin fresh, tonic and to prevent wrinkle. Rilastil Aqua BB Cream is a multitasking cosmetic treatment with a light and silky texture. It perfects complexion to create a natural and even color, performs an intensive moisturizing action and protects from photo-aging.